Home About Planting About Planting in Alberta & Northern B.C. The West/Central region spans from Northern B.C., through Alberta, Saskatchewan and Manitoba. Although this covers a huge land mass, many of the traits of the planting are common throughout the region. 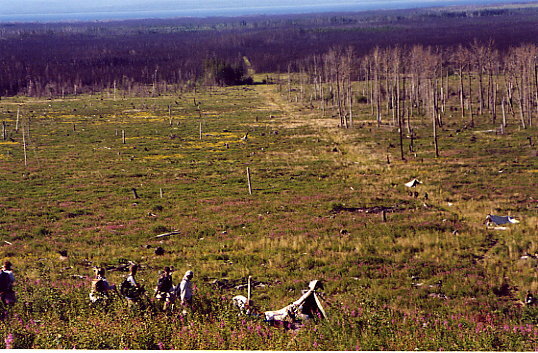 The West/Central region is characterized by relatively flat land, occasionally some hilly regions, bugs, lots of mud and in many cases muskeg. The planting is fast with most planters putting in 1,500 to 4,000+ trees per day. Many of the areas being reforested are far away from civilization, and in most cases, far away from what you would normally call a road. Treeplanters may find themselves living in remote bush camps with daily helicopter support to move camp, boxes of trees, quads and planters. 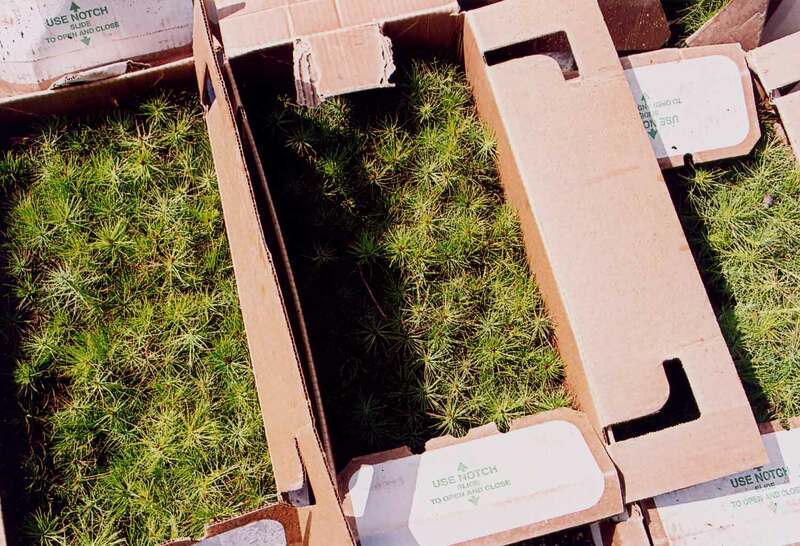 The vast muskeg fields and extremely remote worksites makes housing and running a crew of fast treeplanters a logistical nightmare for many treeplanting companies. Welcome to the great Canadian North. The mornings will likely be very cold but once things warm up, the weather is quite agreeable for the rigorous work of planting a couple of thousand trees each day. Well, at least for the first couple of weeks. It won’t be long until you can expect one of two things; really hot dry weather or a week of rain. Unlike some lucky regions, the West/Central region has plenty of bugs. Black flies, mosquitoes, no-see-ums, dear flies, horse flies. You’re gonna love it. 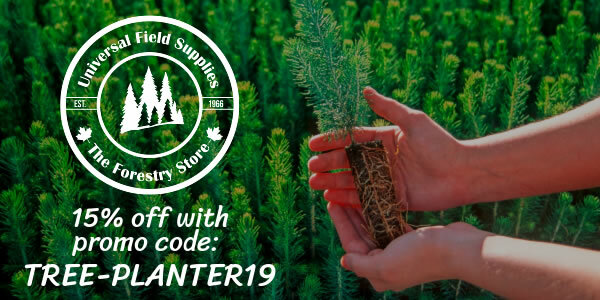 With fast ground and relatively easy stock to plant, it is not difficult to see how prices per tree are somewhat lower than in central or coastal B.C. Tree prices range from 8.5 cents to 12.5 cents with exceptions on especially tough or really creamy projects. Planter earning of course vary with experience, companies, projects and ground conditions. A typical rookie will earn $5000 and $7000 in a season, vets $6000-$8000 and highballers between $12,000 and $18,000. The planting season in this region is typically in full swing by the second week of May. Most planters will be kept reasonably busy through until late July. The occasional project can be found running into early September. The ground can be somewhat hilly or flat for what seems to be an eternity. The soil can vary from soft loam to hard clay but there are not normally many rocks. Many of the cutblocks will have received extensive site preparation so you could be planting mounds or trenches. Straight planting or “Moss Popping” is becoming increasingly common in some regions. The fast ground often found within this region is of real appeal to some planters. Some planters like the tough and intensive work required to plant a single tree on the coast, others like the “jog and plant” of fast ground. The West/Central region contains Canada’s fastest planting with only a few schnarby areas. Most of the trees planted within this region are plugs with very few or no bareroot seedlings. The plugs range in size from 6 cm in length to 20 cm. The tree species typically consist of white spruce, black spruce and lodge pole pine. In a typical day, you will handle one or two different stock types. 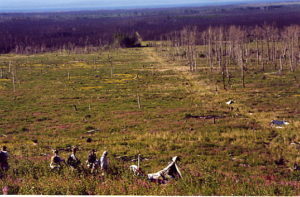 Bush camps are frequently used when the areas to be planted are distant from town or the transportation between town and the worksites is difficult. 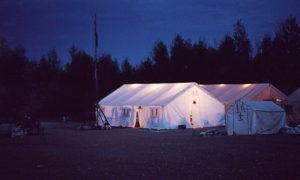 The camp typically consists of a dining tent, dry shack, kitchen, privies and showers. Bush camps can be set up at a roadside location or they can be transported deep into the bush by rolligons or helicopters. When staying in a bush camp treeplanters sleep in their own personal tents. Living in a bush camp is nothing like going camping or backpacking. 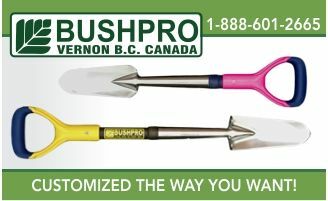 Bush camps can be assembled almost anywhere. This mobile tent city can be assembled and made operational inside of 1 day and often accommodates 30-50 people. In bush camps, food is typically prepared for the crew by one or more full-time cooks. Many people find that the food is a genuine highlight of the summer. Food is plentiful and often well suited to the needs of planters. When the worksites are close to town or the roads are easily traveled on a daily basis, the crew may stay in a hotel/motel each night. Some people prefer the comforts of town but the drive time each day can become painful. Typically, planters will share rooms and prepare food for themselves, this can also prove painful at times as cooking when fatigued and living in close quarters with others can be an added stress at the end of a long day. Logging camps are often situated in areas distant from town.You stay in ATCO-type trailers where there are one or two beds per room, hot showers, laundry facilities and satellite television in the common room. Food is generally heavy and unimaginative with a wide variety of greasy foods available. 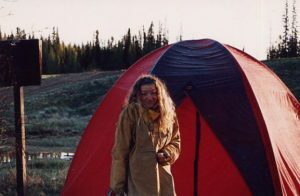 Bush camps are rarely utilized except is some Northern B.C. areas. Hiring season for this region starts in January. Although there are many positions to be filled, some companies fill up their crews very quickly. Be sure to apply early and blow them away with your knowledge of, and enthusiasm for, planting trees. My rookie year of planting was in 1990 and I spent most of my time in High Level, Alberta. Our crew consisted of 35 planters, 6 of which were experienced. This is not a good sign. Our camp was lead by one psycho foreman and another who was incredibly laid-back. Everything that could go wrong did, including half of our camp getting beaver fever. That first year was rough. Even five years after, people within that particular company reflected back on those poor bastards that got stuck on that crew. Wah. I was extremely driven to make the big bucks. Seeing as our foremen were such disasters, and they had to look after so many rookies, there was very little training available. I sought help from one of the few veteran on the crew. I selected Tom McSwiggin, a six foot seven inch tall UPEI basketball player who had a few years of highballing under his belt. I told him that if he allowed me to be his partner, I would do everything that I could to keep up, and I would buy him pizza and beer on days off. Working with Tom was awesome. He worked me hard! He pushed me past my first $200 day within 10 days and past $300 within another 5. Whenever I was setting a new record he would have me bag myself out – just so I could say I did it alone. Tom taught me how to work efficiently. I remember one time a couple of the other rookies were starting to make some money. Tom asked one fellow how much he had made that day. He said that he busted his balls all day and made $200. Tom then asked me what I had made. I said that I had cleared $250, hardly broke a sweat and went for a swim in the late afternoon. Tom was all about working efficiently and seldom missed an opportunity to tell others that that is what it is all about. I wish I knew how to contact Tom now. The principles that he taught me served me well for years of planting and I have passed along his knowledge along to many more planters. After 5 years of planting in B.C. 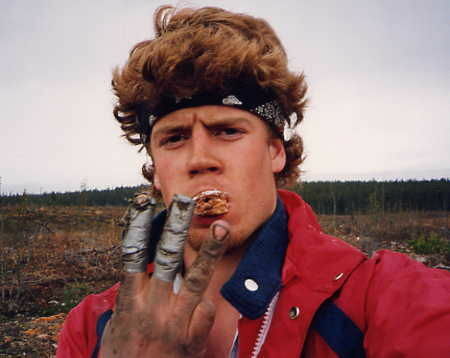 and Alberta, I started my own treeplanting company with a buddy and my brother. We had a great time running Sundog Forestry. We made a lot of friends, learned a tremendous amount about business and helped several hundred people make top-notch earnings. It has been my pleasure to tell you about what planting in the West/Central region is like. It’s fast, it’s awesome and I loved it. There is typically an age limit of 18, but I have seen some exceptions. Best to ask your prospective employer. I’m wanting to start tree-planting this season, but I’ve got 2 backpacking trips books for early July and mid July, and I’m wondering if that will lessen my chances of being hired? Yes, that will likely be a problem. 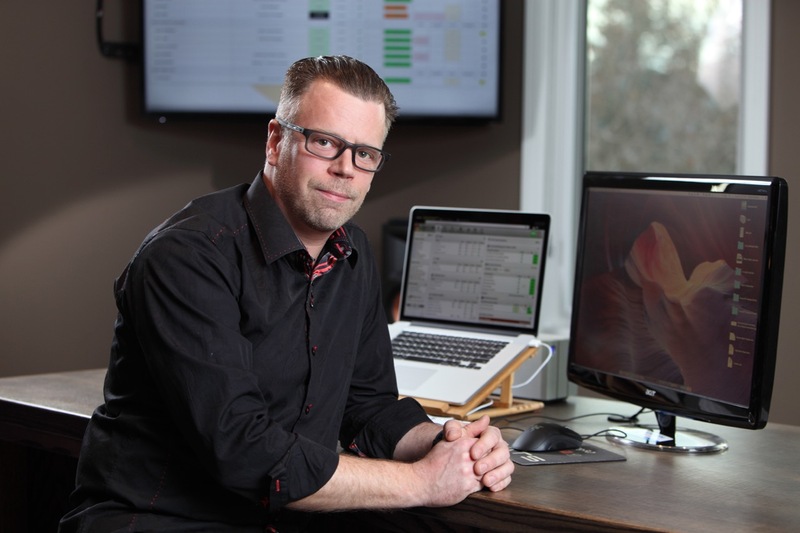 Companies are investing in your training and relying on you to be there to help them hit their production requirements. Punching out mid-season could very well be a problem for them.